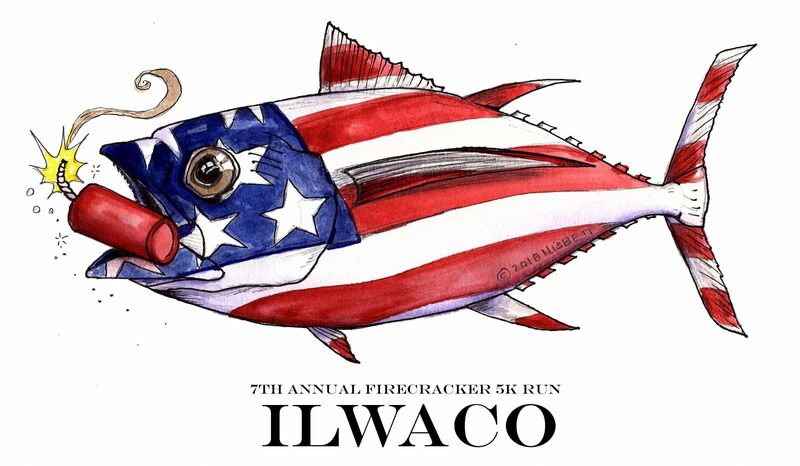 Come join us for the 8th annual Ilwaco Firecracker 5k fun-walk/run on Saturday, July 6th at 9am at the Port of Ilwaco. Proceeds go to help support the Ilwaco Fireworks display and other Ilwaco Events. There will be water provided at the turn-around and the finish line. See you there! There will be race day registration and packet pick up at the Port of Ilwaco starting at 7:30 AM.